Sometimes the result does not tell the entire story of a match. This was one of those matches. Milan had 60% possession, 24 shots and 9 on target, but still didn’t score. They played much better than they had in some losses, or even some wins, but still only got a point. 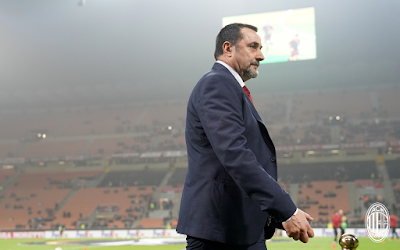 Which opened up a lot of new questions, including many about whether or not Montella is fit for the job and how much longer they will give him. It also left everyone looking for answers. Most of the time, a 0-0 draw is boring and painful. Well, this one was painful, but it wasn’t boring. It was filled with tackles, fouls, and shots. Lots of shots. Statistically, it seems impossible that none of our shots went in. Well one did, in the 7 th. 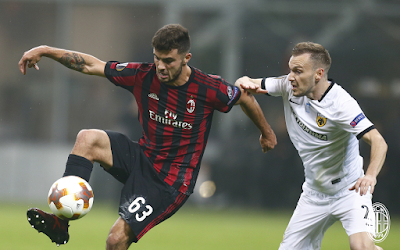 A fantastic bicycle kick from Cutrone went in, but was called back for offside. Funny, if it had stood, that is what people would have been talking about. But it didn’t, and so his heroics are forgotten. Another one that almost went in was at the other end, when Christodoulopoulos, or Lazaros, to be able to fit it on the jersey, sent one in near the post, and it came in on the wrong side of Donnarumma, who also nearly deflected it in for an own goal, but luckily it continued just across the face of goal and did not go in. Donnarumma’s counterpart, Anestis, had the game of his life, with eight saves. And some of those saves were amazing, like the one on Cutrone in the 69 th. So many moments, actually, with a breathtaking Musacchio stop in the 52 nd, for example. But with AEK playing basically a ten man back line, Milan weren’t going to score. There was one satisfying event, however. Marco Livaja, notoriously ex-Inter, had been talking ahead of the match about how badly he wanted to score against Milan because he was ex-Inter, how much he still loved Inter, etc. 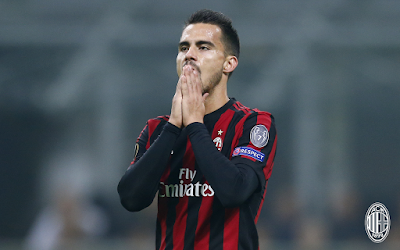 So when he left the pitch, he was whistled excessively by the mere 17,000 Milan fans in attendance. Apparently he reacted to that, and so three minutes later, got a yellow card… on the bench. That is a special skill. And also so Inter. While the team played a much improved game, every match that is not a win is going to raise the intensity and number of questions. This game was interesting, though, because in Montella’s prematch press conference, he compared the team to a new wardrobe, and said he still had to find which pants and which trousers go together. Which is the closest to culpability you will find from him, even though I don’t think he intended to tell us “I don’t know what I’m doing.” Mirabelli also had some comments ahead of the match, saying Montella needed to find Milan’s “shape,” and talking about how time is running out for everyone, he and Montella included. While I have been very critical of Montella and his tactics, or lack thereof, he showed some hope in the second half of the Inter match, by making tactical subs which actually impacted the game, even if the result still didn’t happen. This match, he went with the 3-5-2 again, which everyone but him can see is not working, And they almost made it work, too. But it still wasn’t our ideal, and it’s impossible not to wonder how many of our poor results would have been positive instead had he just used a proper formation. Despite the grinta shown, the improved determination and play, the result is what matters most. Will the result see Montella still on the bench when we go to Athens in a couple of weeks? Is there another coach out there who is available and willing to take on this project? Or will the improvements shown lately finally be enough to get the results? These and so many other questions are being asked by the fans, and likely the Milan management, too. With three more Serie A matches in the next eight days, I’m sure more and more questions will be asked, too. And so fans and management alike will all be looking for answers.